I need to join the Wine and Cheese Place Beer Reward Club. I’m not pushing that you do too, but I’m starting to really see the rewards of joining these clubs if for nothing else then the rare opportunity to get my hands on some exclusive beer. Now, you know I don’t chase beer, and that’s more economics than anything else, but through the clubs, I don’t need to chase. That said, the next big reward for TWCP members is a big beer. 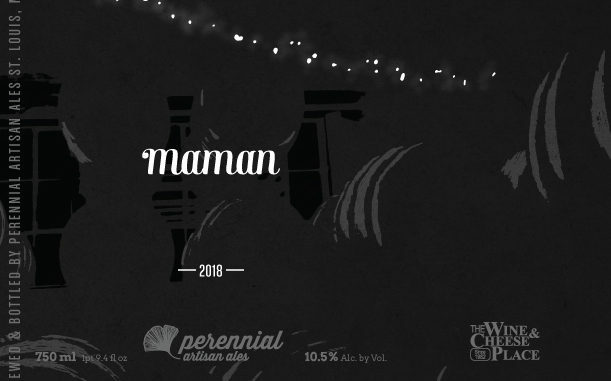 Perennial Barrel Aged Maman Imperial Stout, TWCP Edition. Again, this is a big beer, 10.5% Barrel Aged Imperial Stout and this beer is going to be a two barrel blend (Four Roses and Wild Turkey) that has been aging for an amazing 28 months! “They took awhile to come around (28 months! ), but I think you’ll agree it was worth the wait,” said Phil Wymore, owner, and headbrewer of Perennial. So, how do you join? And is there a cost? The answer is all you need to do is send an email and there is no cost. Here is all the info directly from their website. Email, name, phone number, email address, and store you would normally like to pick up from. That way they will confirm back with an email and you will have less of a chance of notifications going to your spam box when allocated beers come out. Remember, when you buy beer, tell the cashier you are a member and give them your phone number so that your purchases will count towards your account! Eventually, we will add more features for club members like special sales and discounts. 1. What sales time frame will the allocated beers be based on? For each release, They will decide how long to go back to reward. It might be sales for the last two months, maybe the last 3 months. Sometimes they will do a longer time frame to reward longtime customers, but they will rotate it a bit. They might do it randomly by rolling a dice for the number of months to base the sales on. I am interested in buying bulk orders wine. Would that be possible with your company? Sorry, No. I am a writer, and do not produce or distribute.